David Suzuki looks at Urban Sustainabiltiy in Montreal! In a new installment of “Suzuki Diaries”, David and his daughter, Sarika, travel to some of Canada’s biggest cities, seeking the most innovative and passionate initiatives which address our cities’ vitality, growth and survival. 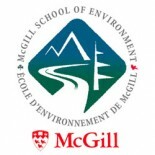 This Summer (2012) the McGill School of Environment (MSE) piloted two new 3-credit field courses focused on urban sustainability in Montreal. These courses are part of a proposed 15-credit extensive field semester, Montreal’s Urban Sustainability Experience (MUSE) which is anticipated to start in Summer 2013. This website is a collection of the work done by 12 students in ENVR 490-Montreal’s Urban Sustainability Analysis. With this MUSE website, we hope to provide resources and context about urban sustainability in Montreal, and to spark collaborations, dialogues, and initiatives to help Montreal become a more sustainable city for everyone. Your comments and suggestions of further potential resources will be of great help to us, thank you!